Cristhian Salinas has been an essential member of the Biscayne project management team since joining the company in 2010 as an Associate Project Manager. Since then, he has proven to be a quick study and gained the full confidence of Biscayne’s executive management staff. Regarded as a valued professional on the Biscayne team, he currently serves as a full charge Project Manager. In his current role as Project Manager, Mr. Salinas has earned the respect of customers, subcontractors, contracting officers, and Biscayne’s executives by providing critical support functions, reports, project status updates, invaluable project management/quality control, and contract compliance certification on some of Biscayne’s largest, most complex projects. He is considered by Biscayne to be an essential element of the future management of the company. 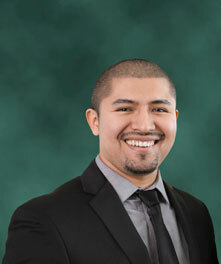 Mr. Salinas grew up and attended schools in northern Virginia and holds an AA from Northern Virginia Community College in Business Administration. Mr. Salinas lives in Alexandria, Virginia, with his two young children. He is intimately active in the academic and social lives of his children and spends the majority of his non-working hours in family activities and teaching children soccer skills.